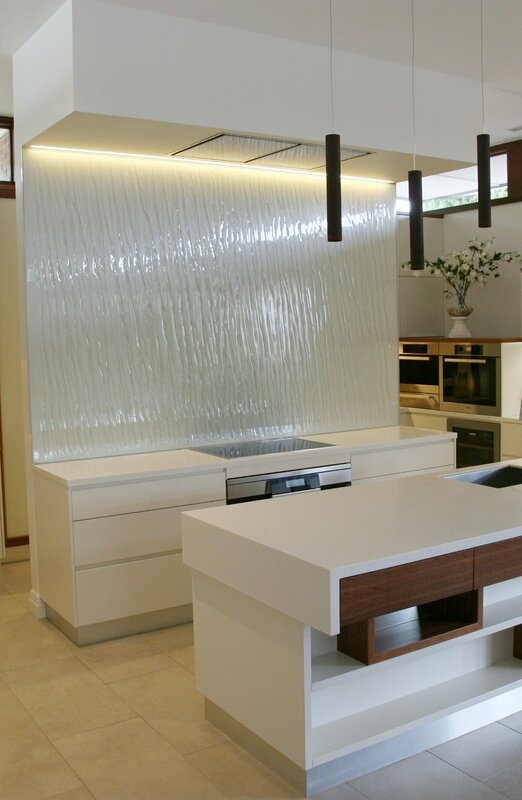 Custom glass products for domestic and commercial applications. Competitive pricing and highest quality. Our custom made colour back glass splashbacks are available in a huge range of colours, textures and patterns to suit your style. We offer a free on-site quote and colour consultation, bringing all our samples to you, so you can make the right decision on colour in your own space. Our splashback range includes over 500 standard solid colours, metallic and pearl paints, custom patterns and designs, matte finish and textured glass, mirror splashbacks and digital printing. We can colour match any paint brand, or work with you to create a new design. Our painted glass products can be used for bathroom and shower walls and floors, providing an excellent alternative to tiles. No grout and a smooth finish makes cleaning simple. Glass floors are treated with an anti-slip coating, and all areas are sealed with anti-fungal silicone so mould will never be an issue. Metallic Paint on Super Clear glass walls and Marbled Metallic Paint on Matte Finish glass floor. 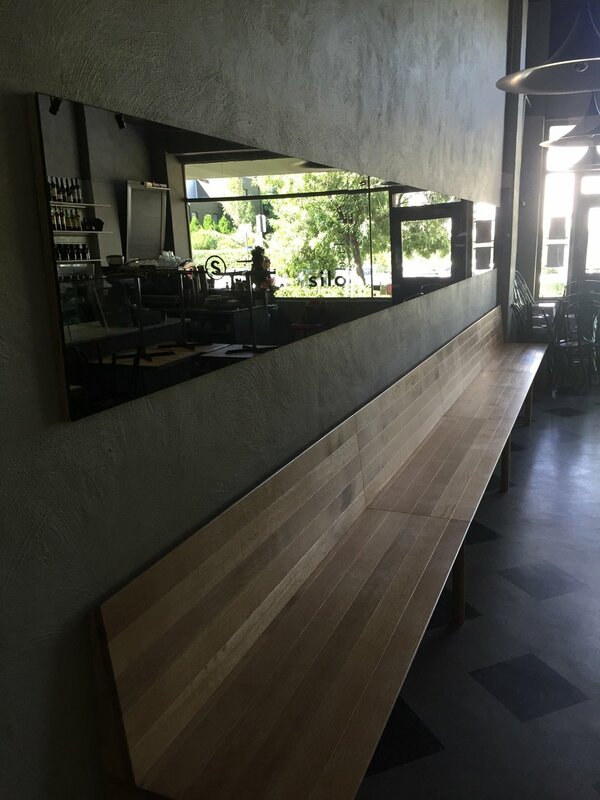 Our frameless screens are custom made to fit your space, and available with a range of fixtures to match your style. 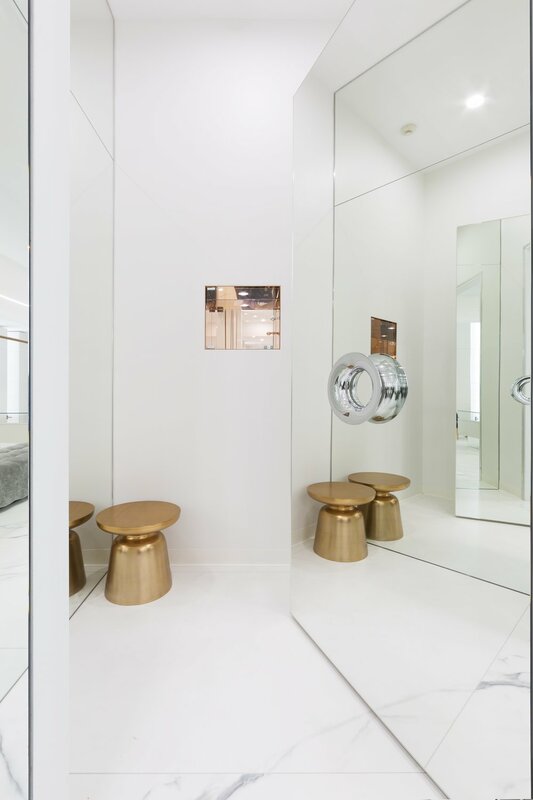 All mirrors are custom made to measure, available in any size or shape, with a variety of edge finishes. Custom made silver mirrors on front of bathroom cabinetry. Our glass can be used in a number of commercial applications to suit a range of businesses. 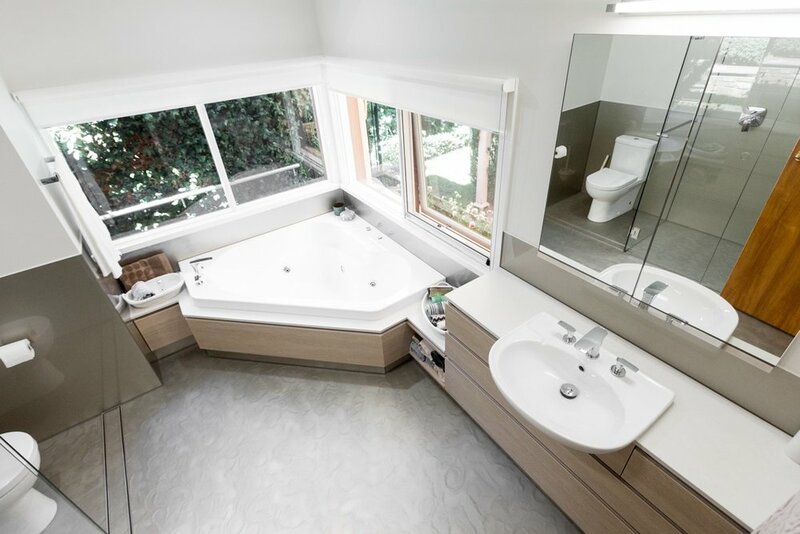 From signage to cabinets and mirrors, our glass is durable and functional, and all custom made to suit your needs and style. Sometimes our clients want something really unique. This makes us very happy. 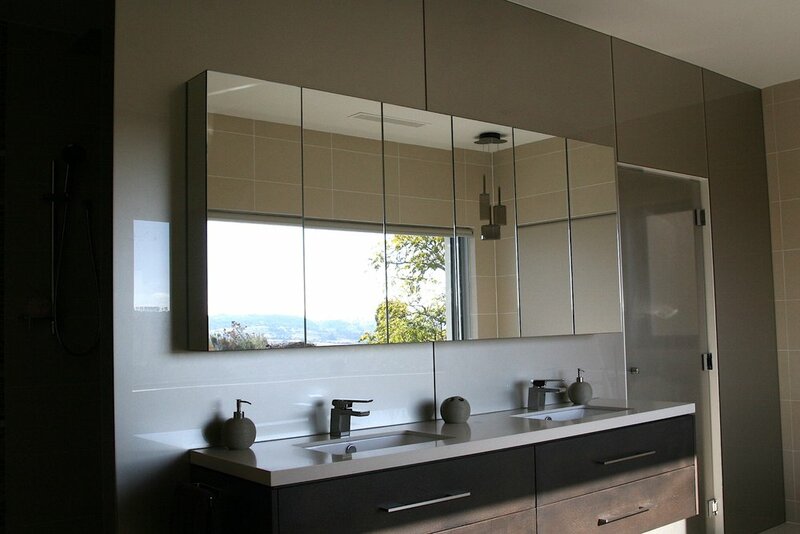 Digitally printed glass and toughened grey mirror cover the entire wall surface in this amazing bathroom project.